Welcome to the jewel of the Californian Free State; a mega-city built upon the bones of old Los Angeles and the surrounding territory. A center of trade and gateway between the Trans-Pacific Alliance and the North American powers it's a city of endless commodities both mundane and exotic; though the two most highly prized never change: Money and Power. At the end of the war that created the Free State the bureaucrats settled into the lovely San Fran; but their reach only extends so far. Here they have only as much say here as their muscle can enforce. Here real power is held in many hands. The Mega-Corps, the Mob, the Bratva, Yakuza, Triads, La Eme, Chrome Gangs, and Puritans; when Horizon's fortunes' rose, everyone came looking for their own slice of the pie, and a piece of everyone else's too. That of course brought another sort to the city, the sort with an entrepreneurial spirit and the skills to charge well for it. Corporate and criminal, spies, assassins, thieves, hackers, fixers, or just plain thugs; these men and women inhabit both the glistening skyscrapers and grungy back alleys of Horizon and as varied as they come they all have one thing in common: they're here for the Creds. Horizon has enjoyed a period of relative stability these past seven years; if only because the powers that be have seen fit to keep it that way. 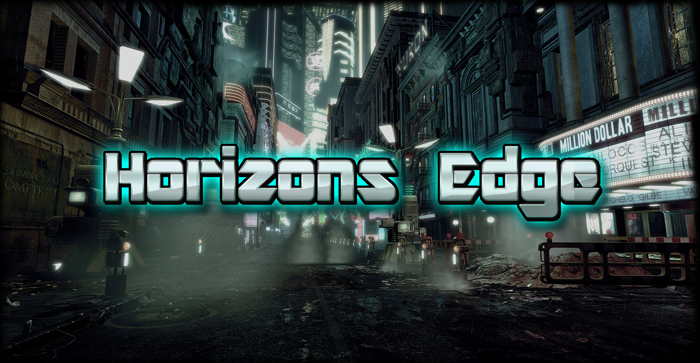 Horizon's Edge is open by application. Please make sure you read the novel guidelines before applying. The setting is always open to new ideas and if you are interested in something not currently covered by the pre-existing canon, feel free to message one of the MoBs. Most of the info for the setting can be found in our story boards and it's a good idea to orient yourself with that before you apply as well.